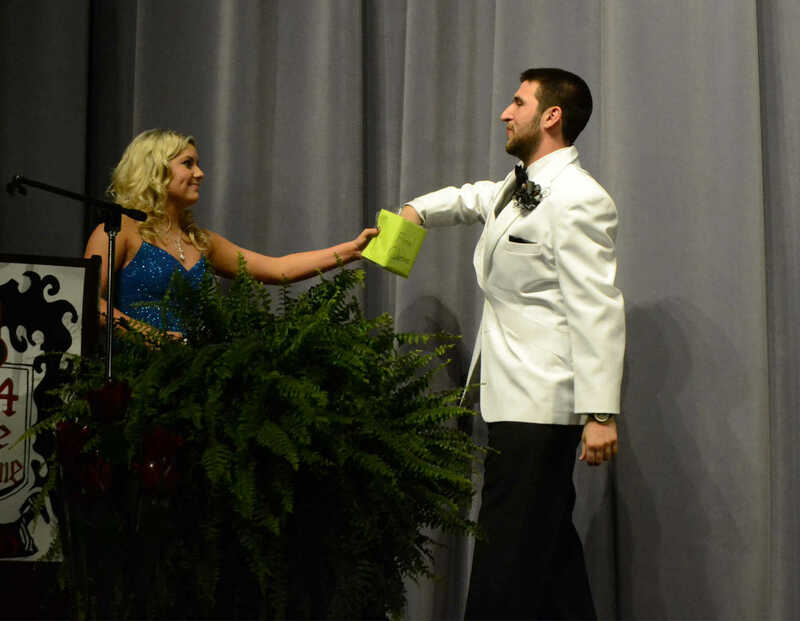 Easton Mitchell draws a question during the Male Handsome Pageant on Friday. Maddi Gordon and Marli Coonrod emceed the evening. 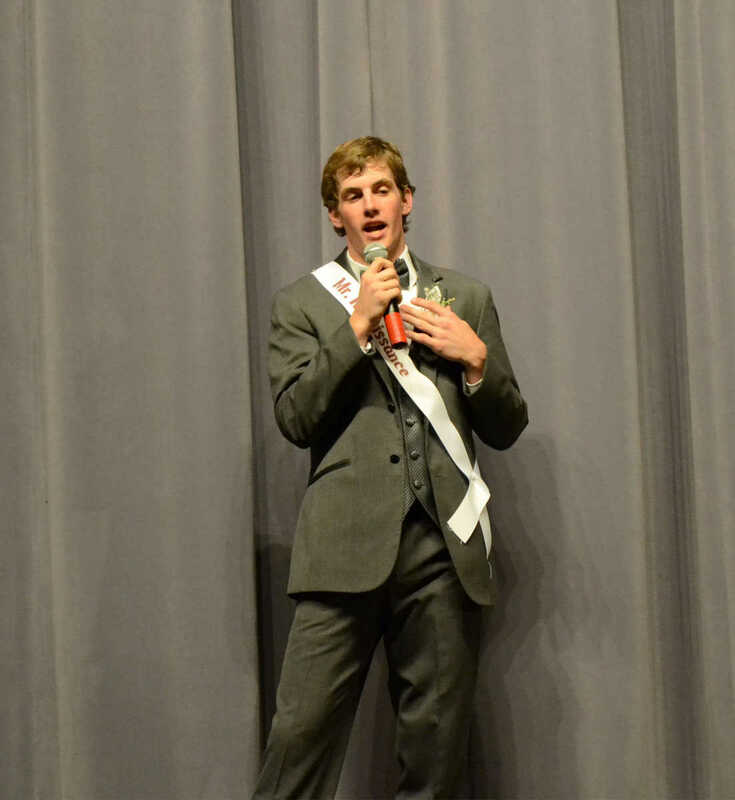 Easton Mitchell gives his answer to the final question during the Male Handsome Pageant on Friday. 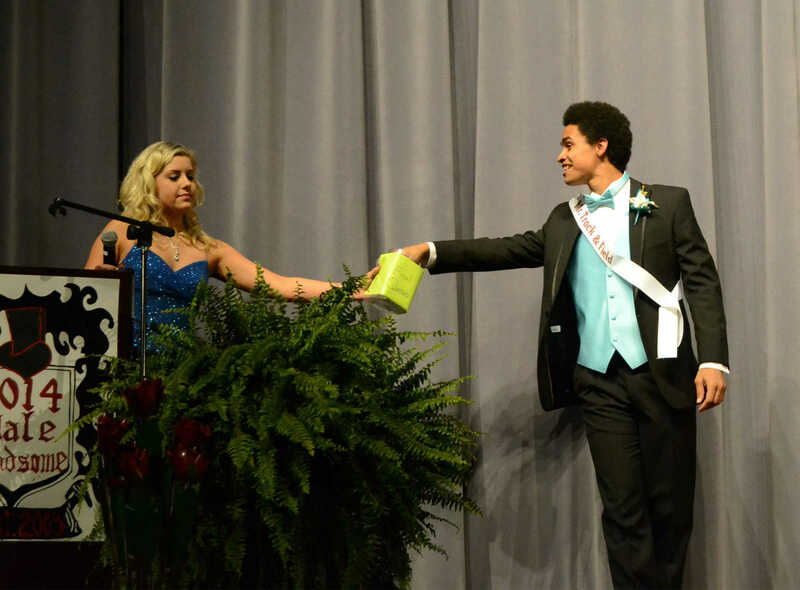 Justin Marley draws a question during the Male Handsome Pageant on Friday. Marli Coonrod emceed the evening. 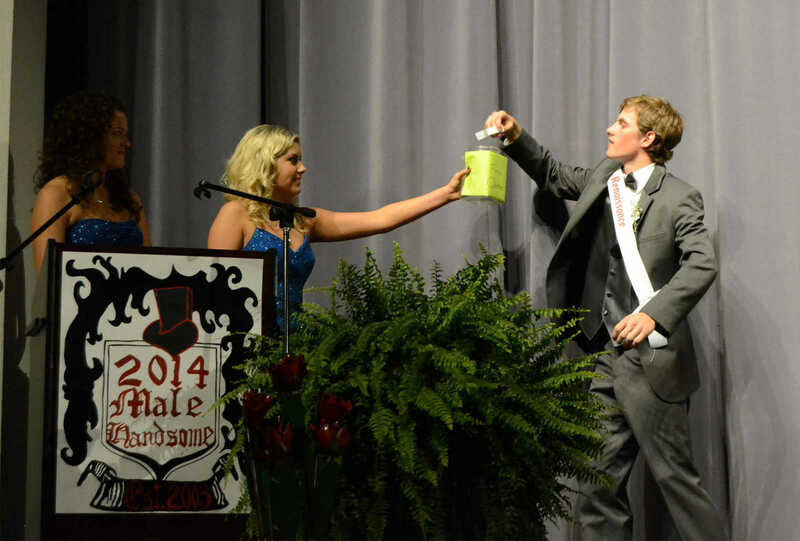 Alex Payne draws a question during the Male Handsome Pageant on Friday. Marli Coonrod emceed the evening.